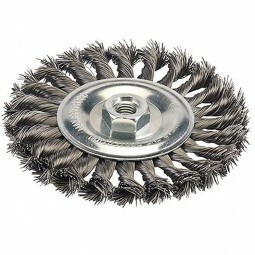 Aggressive twist knot design allows fast removal of heavy rust, paint and scale. 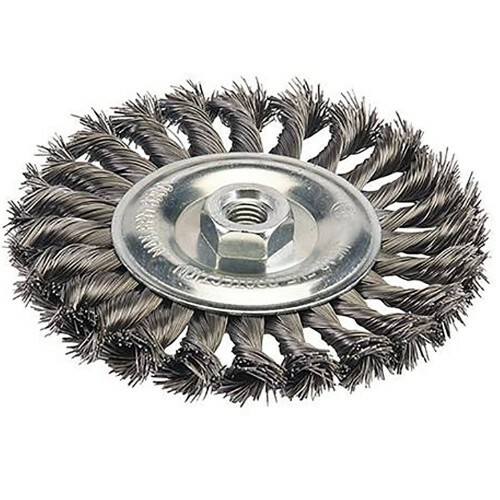 Brush can also be used for descaling, deburring and preparation and cleaning of welding seams. Ideal to be used with angle grinders.